Ponds and water features provide a sensory experience for their admirers—sounds, aesthetics, and fresh scents. But when the biological balance is awry—odors are created that detract from the pond’s beauty. 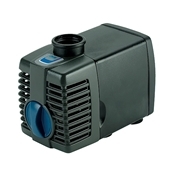 AquaActiv Sludge Remover improves filter efficiency, helps maintain a healthy ecosystem, and reduces foul odors. The AquaActiv Sludge Remover infuses beneficial bacteria into your pond to break down organic loads and fish waste that sink to the pond bottom and create sludge. The AquaActiv Sludge Remover is comprised of good bacteria and contains over 1 billion CFU’s. The formula breaks down toxins and residue on the pond floor and controls odors, maintaining a healthy balance in the ecosystem. This product works in conjunction with AquaActiv Water Clarifier, which efficiently cleans water by eliminating floating particles and organic matter by forcing them to sink. 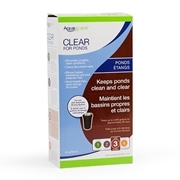 AquaActiv Sludge Remover is recommended when opening your pond, during the spring season, before closing your pond for the year. A 18 oz Bottle treats up to 1,080-gallon ponds. Maintaining the health of your pond’s ecosystem will beautify your pond throughout the season.